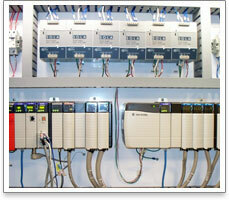 Basic Systems, USA specializes in the design and integration of custom automated industrial control systems. 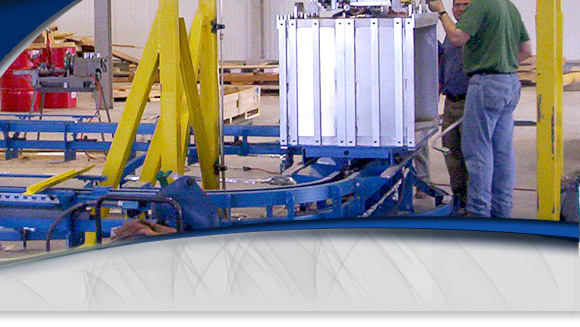 We offer a wide range of solutions that encompass many automation applications, such as safety control, material handling, product tracking, and positioning solutions, just to name a few. Our control systems are well engineered, easy to operate, simple to maintain, and designed to fit neatly into your plant environment. Based on Rockwell/Allen Bradley control platforms, we build PLC, PC, and HMI-based systems that support any of the standard industrial network protocols. Components can include machine vision processors, robotic devices, safety mechanisms, airflow detectors, and VFDs along with almost any type of switch, relay, or actuation device. In addition to installation and wiring, we service all of our systems and provide remote debugging and support. What you end up with is a control system that safely and reliably drives your automation system. We operate an ISO compliant facility, and have built custom automated industrial control systems to operate in environments from sterile to harsh. For more information, or to learn how we can help you with your next project, contact us today.